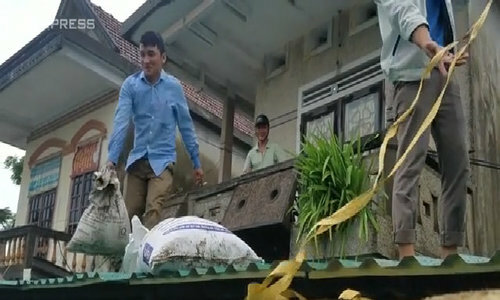 Locals on the north-central coast are putting their faith in sand bags, bamboo poles and ropes to cope with winds of up to 150kph. 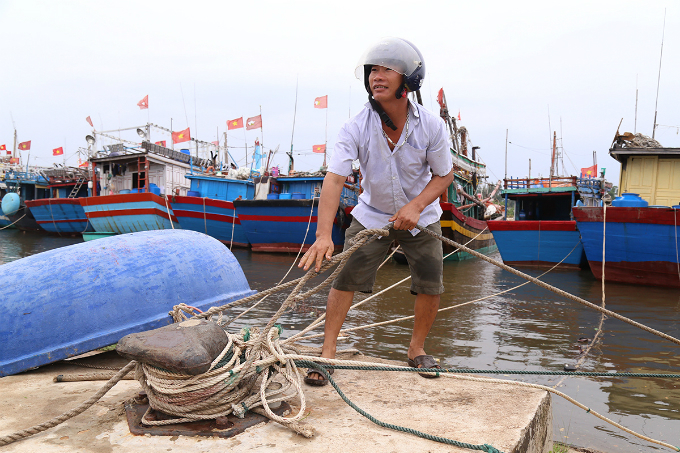 Nguyen Cong Bac from Quang Tri Province ties up his fishing boat. 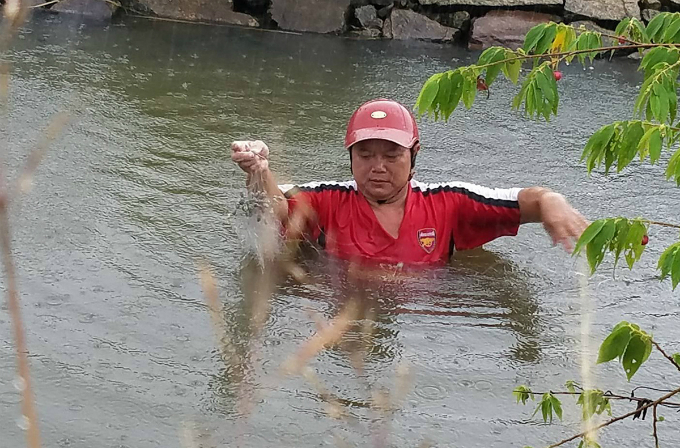 He said he rushed back to shore after learning about Typhoon Doksuri, which is expected to batter the central coast with hurricane force winds at 4 p.m. on Friday. 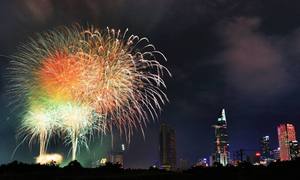 Nghe An, Ha Tinh, Quang Binh and Quang Tri will all be directly hit. 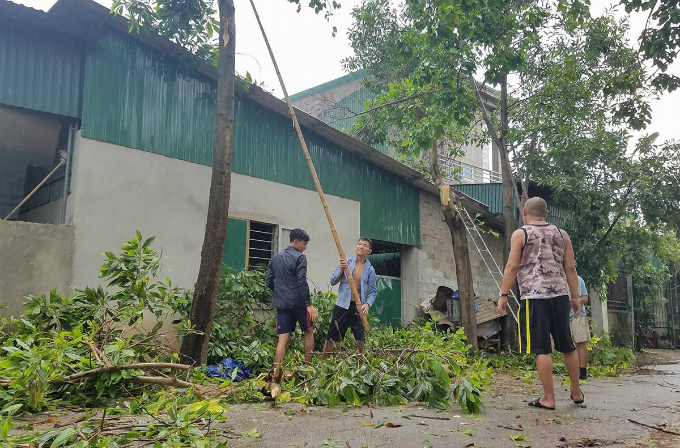 People trim trees in Ha Tinh Province. 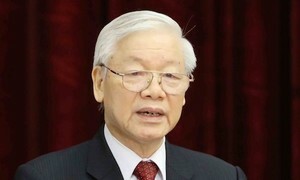 Deputy Premier Trinh Dinh Dung ordered the evacuation of people in high-risk areas at an emergency meeting on Thursday. 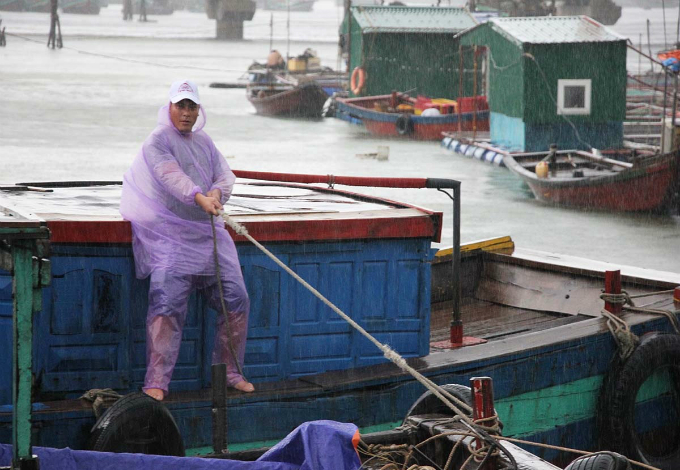 A man in Ha Tinh uses nets to move his fish to a safer place with the rain already tipping down. 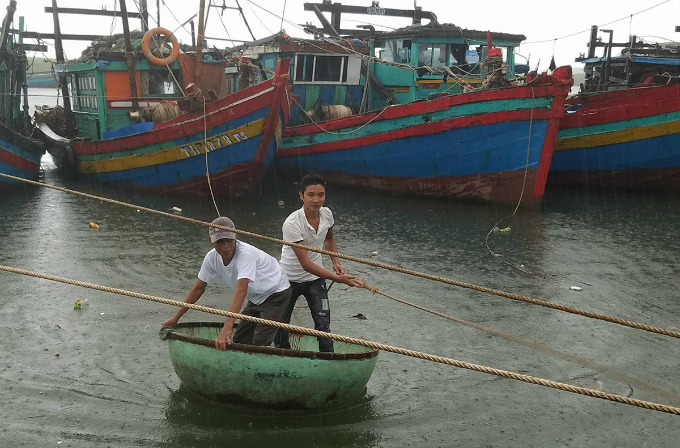 Fishermen in Ha Tinh secure their boats. 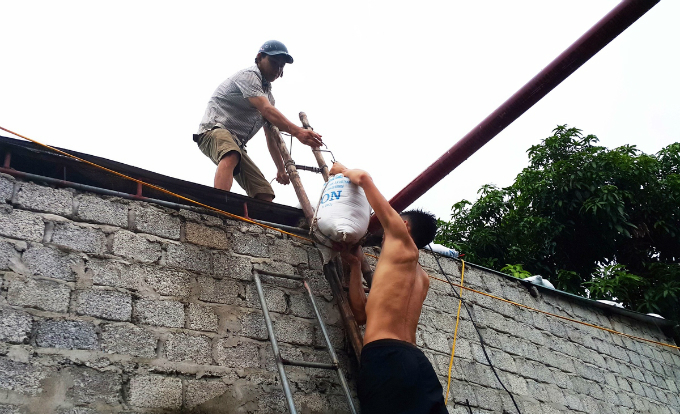 Men in Nghe An place sand sacks on a corrugated iron roof to stop it from flying off. 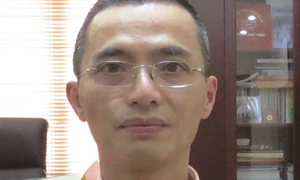 According to government officials, the storm is likely to bring wind speeds of 135-150 kph (84-93 mph/73-81 knots), the strongest in 10 years. 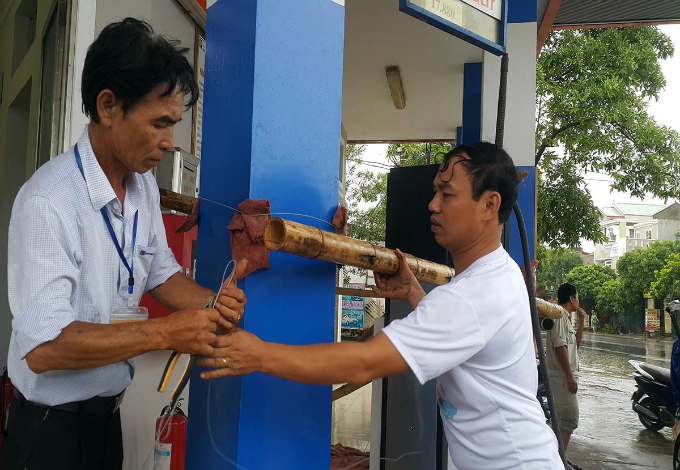 Bamboo poles are used to fence off a gas station in Nghe An. 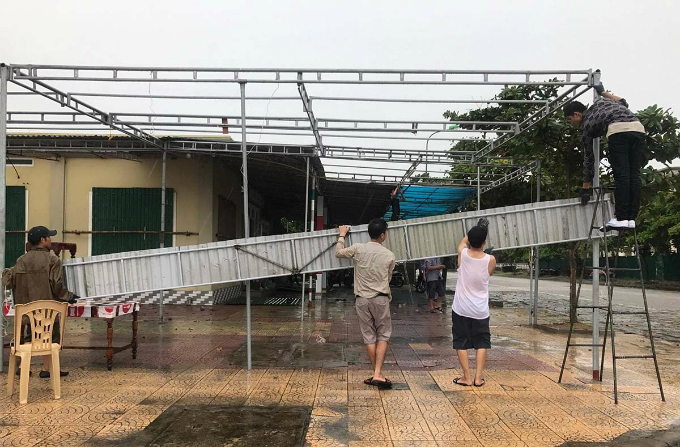 A restaurant awning in Nghe An is removed for safety. 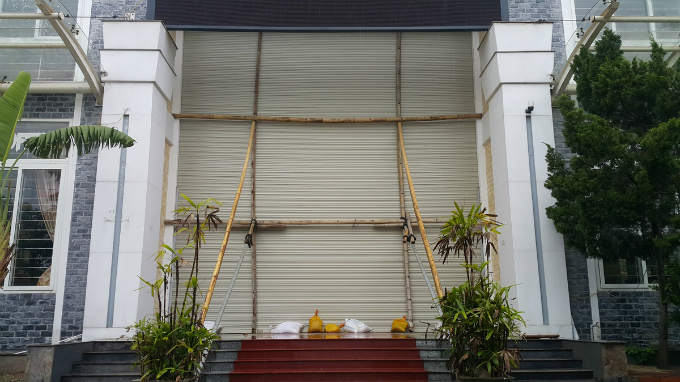 A hotel door propped up and secured with bamboo. 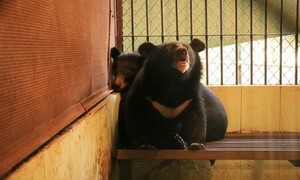 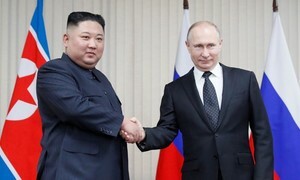 Authorities in the north central region are prepared to evacuate tens of thousands of people from the area.